$10.00 Order for Bravery, Type 2, #140852, complete set with original issue pouch and two separate ribbon bars (exactly as originally issued). In near mint condition. $75.00 Order of National Merit, 3rd class, unnumbered. Early issue with pin back attachment and logo of the Belgrade Mint. In excellent condition. $70.00 Order of National Merit, 3rd cl, #168248. Later issue screw back in silver and silver gilt. $20.00 Order of National Merit, 3rd cl, miniature / lapel device in German silver and gilt, on suspension bar w/ribbon. $65.00 Order of Brotherhood, 2nd cl, Type 2 (with 6 torches), pin back, #466. $550.00 Order of the Republic, 1st cl. (with gold wreath), 1963 version in silver, circa 1960s-70s. Decorated with synthetic rubies and brilliants. Extremely well made and attractive piece in very fine condition. Slightly over 1000 of all variations of the first class were ever awarded. $70.00 Order of Labor, 3rd cl, unnumbered. Early issue with pin back attachment. $25.00 Order of Labor, 3rd cl., miniature in German silver, on pin back suspension bar with a ribbon. $75.00 Medal for Military Achievements, circa 1950s-60s. Excellent condition. $39.00 Medal for 30th Anniversary of Victory over Fascism, 1975. $15.00 Medal for 50th Anniversary of Yugoslav People's Army, 1991. $12.00 Medal for Service to the People, gilded brass. $18.00 Medal for Labor, gilded brass. 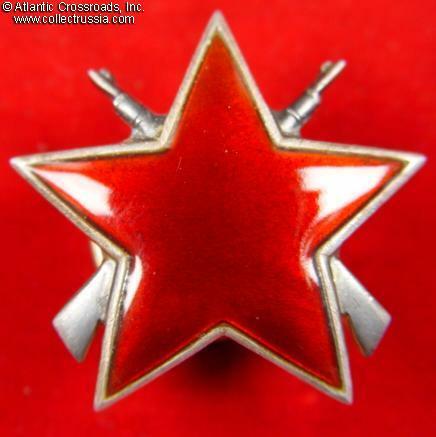 $29.00 Yugoslav Border Guard Badge, circa 1970s-80s. $45.00 Firefighter Union Badge for 10 Years of Service, Bosnia & Herzegovina Province. $48.00 Firefighter Union Badge for 30 Years of Service, Bosnia & Herzegovina Province. $25.00 Yugoslav Sports Achievement badge, early issue, numbered.